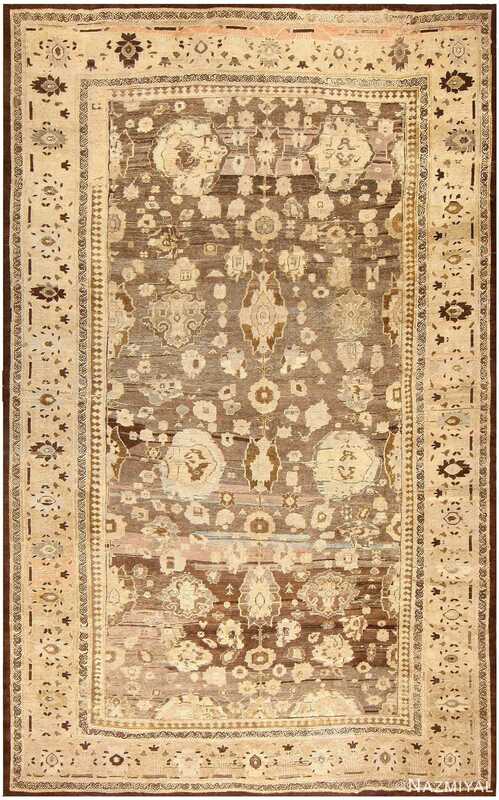 Large Oversized Ivory background Antique Persian Sultanabad Rug, Country of Origin: Persia, Circa Date: 1900 – This gorgeous ivory background antique Persian Sultanabad rug features a breathtaking combination of autumn colors and earthy hues to draw the viewer in. 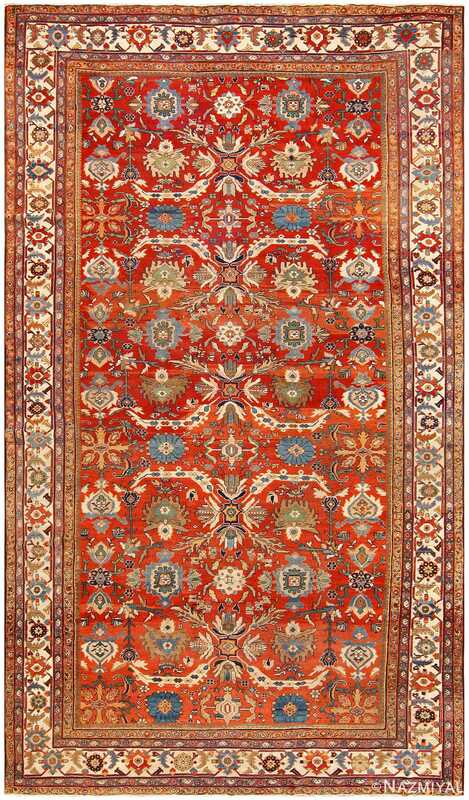 Rich, dark tones define the outer borders, which feature two thinner sets of bars surrounding a ruby red frame. 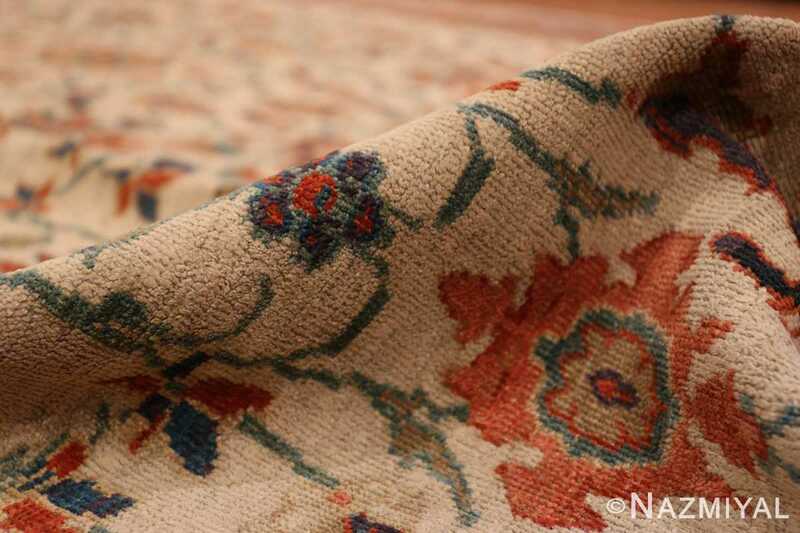 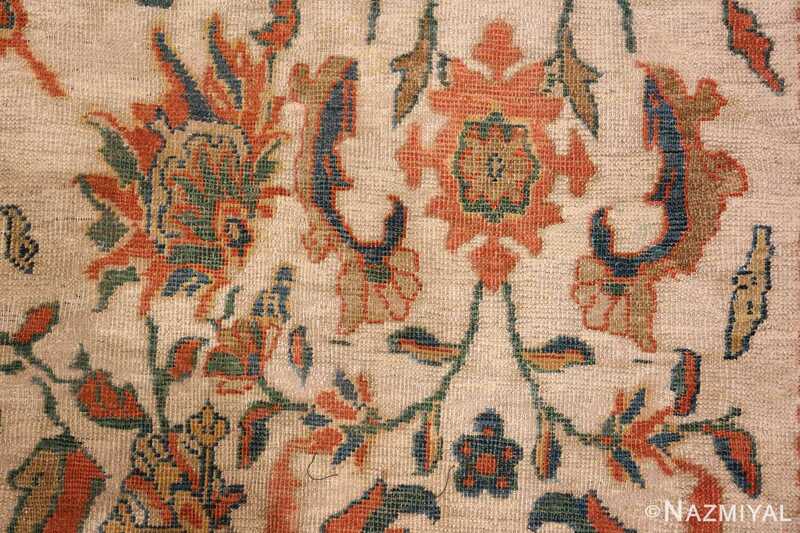 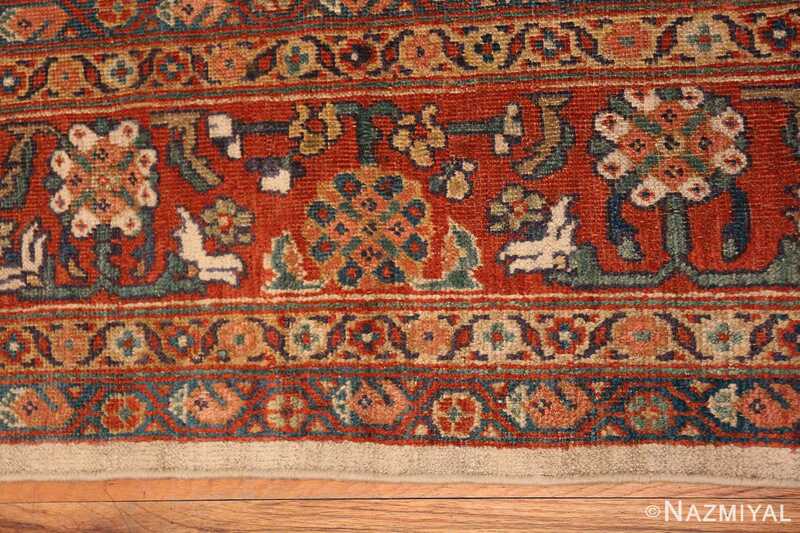 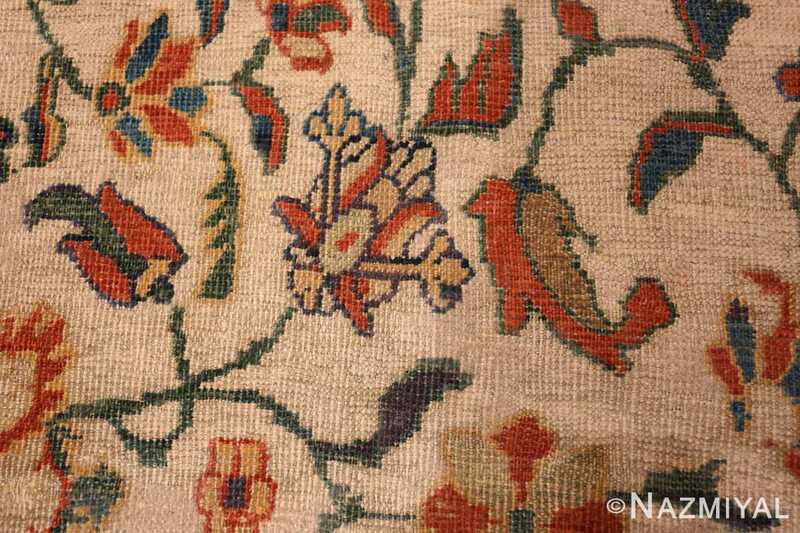 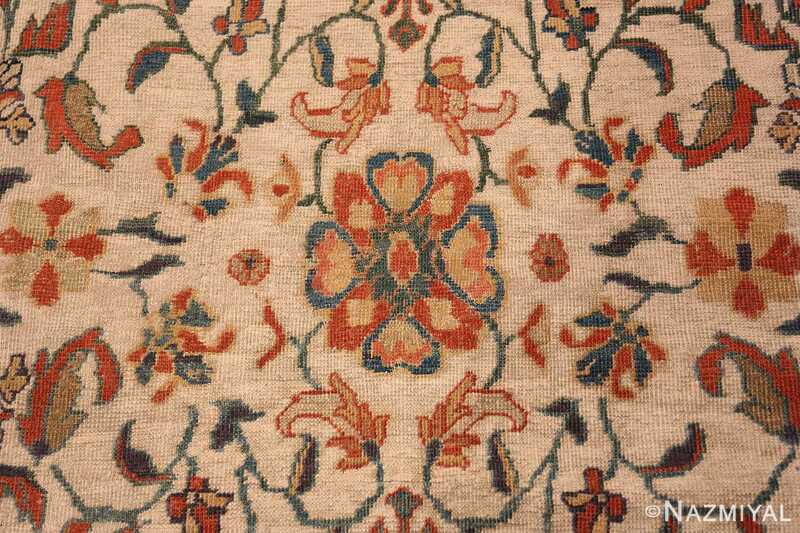 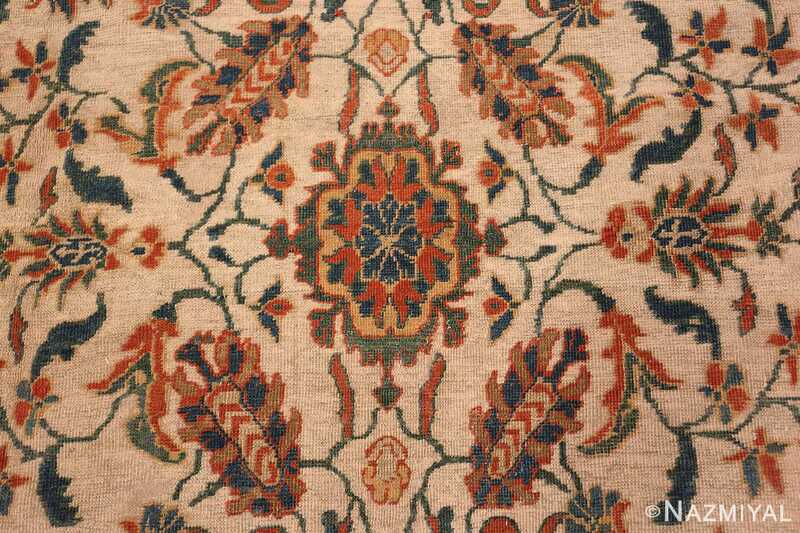 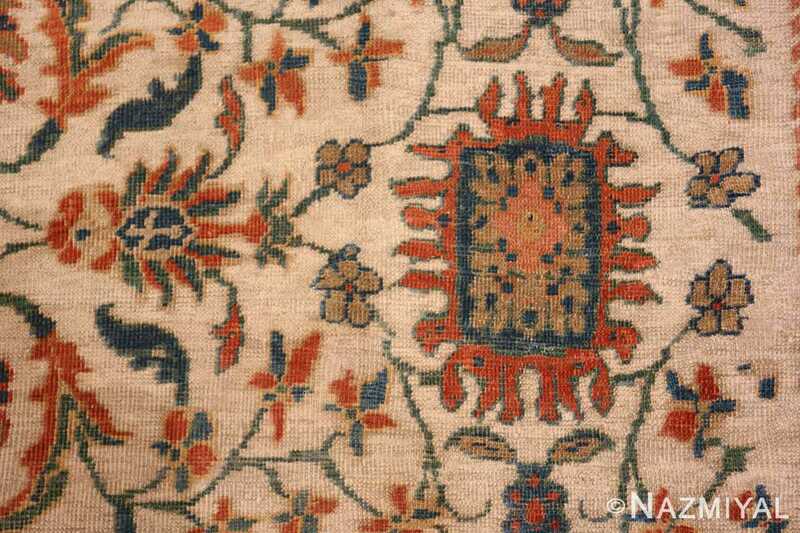 Within the frame of this antique Persian rug are delightfully twisting stems and vines surrounding colorful flowers. 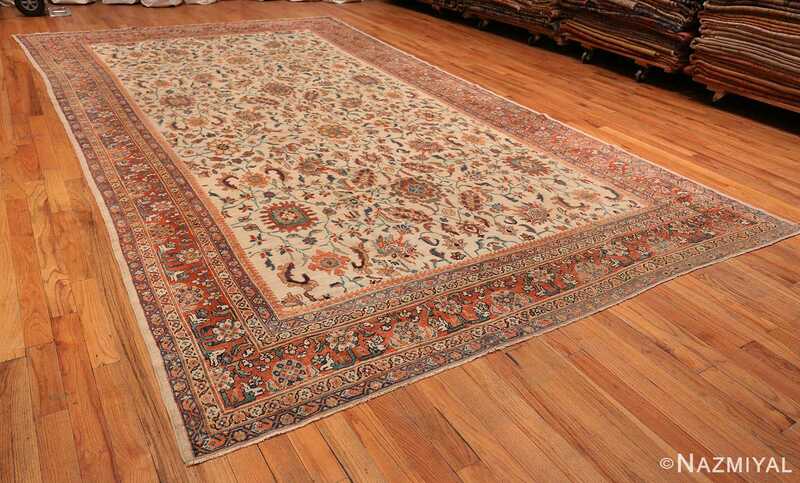 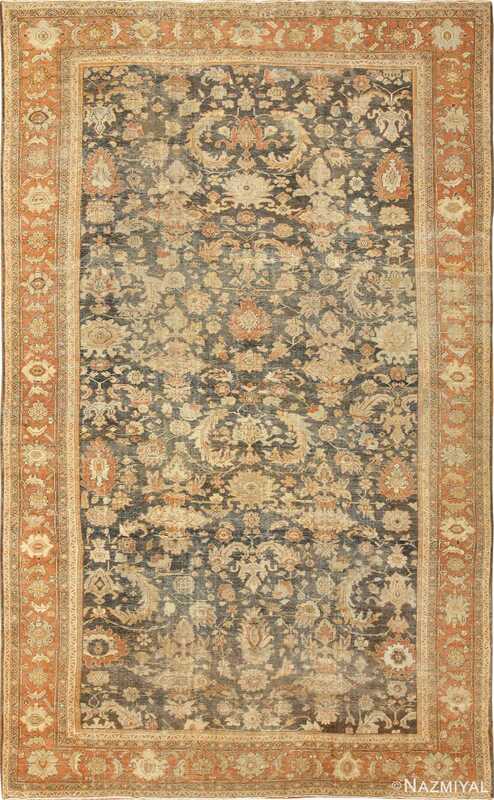 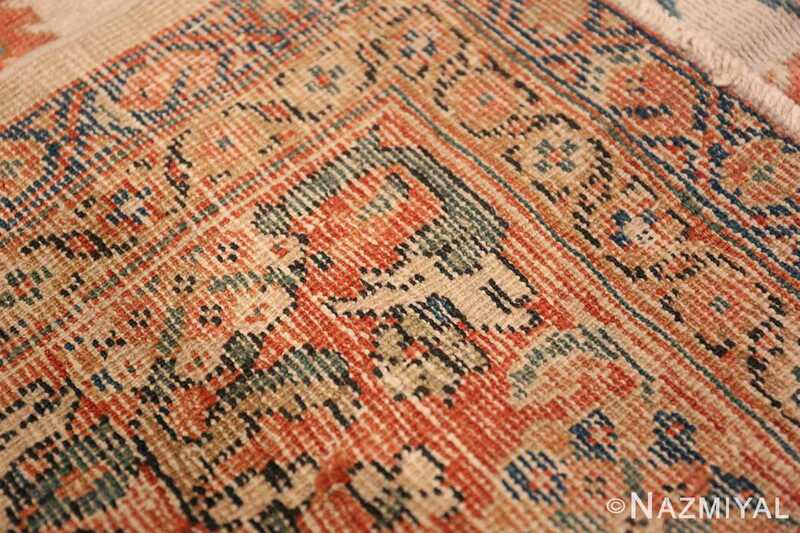 These same whimsical curls dominate the center of the large ivory background antique Persian Sultanabad rug, where they appear in larger number to surround a series of flowers. 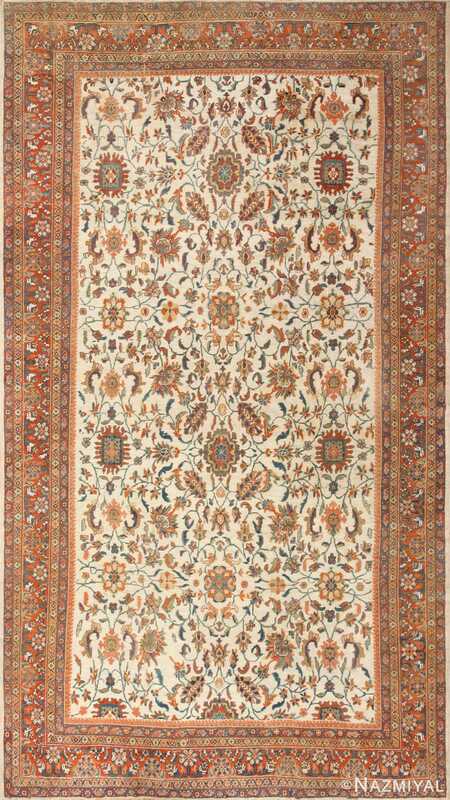 Extending from the various stems and vines of this antique rug are curling leaves and fronds, creating further lines of elegant movement for the viewer’s eyes to follow.